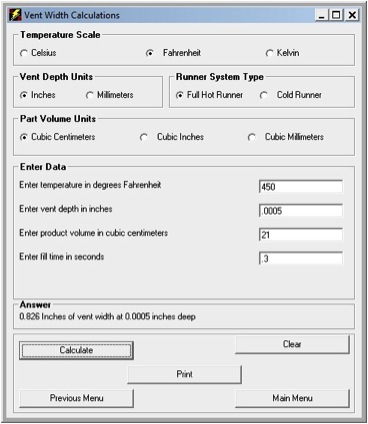 The vent width calculator tells you the minimum vent width you need to prevent burning” of the plastic material. Of course, it’s still up to you to put the vents in the right spot. It’s usually better to have more vents, as long as the structural integrity of the core and cavity are not compromised.